On a warm evening of May 5th, a beautiful blushing Bride Courtney, married the man of her dreams, Adam. 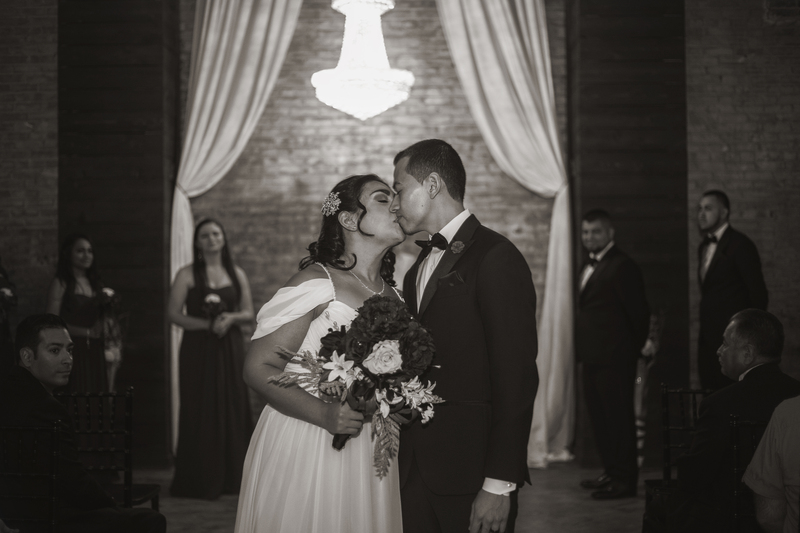 They proudly professed their love for one another at the gorgeous venue Rancho De Colores in College Station, Texas. Skys The Limit Production captured this momentous occasion with such precision and grace, the couple’s day will be a wonderful memory to pass down through the generations. The couple both originated from Arkansas, being aquatinted from the tender age of 14. From there, Courtney became a morning reporter for KBTX in Bryan, Texas. Adam however, worked up to being a Senior Wealth Associate at Northern Trust in Houston, Texas. As life happened, the two began seeing more of one another, playing competitive golf and seeing each other throughout Facebook. One day, on their Winter break of freshman year, Adam couldn’t help but inquire about Courtney; messaging her the conversation which turned into one that would never end. The day of their wedding, Adam and Courtney exchanged letters, tenderly writing of their love. Courtney appeared in her dress, the carefully sew ruffles swayed gently as she made her way to the alter, her earrings shown in brilliance just like their love. Her smile was the crown she bestowed upon herself, this beautiful blushing bride, gleaming like a diamond. Adam, anxiously waiting for his bride, wore a warm navy suit with a delicate pink tie and his hair smoothed to dapper perfection. His eyes shone like the the ring he placed lovingly on her finger as he stood before God to make Courtney his wife. The crowd was in silent adoration as they witnessed the ceremony. The love and support was so palpable you couldn’t tell the difference of friend or family. The reception had a festive feel, paying homage to Cinco De Mayo. The crowd was buzzing with laughter and cheerful conversation, people dancing in rhythm with one another, and of course the infectious feeling of elation. The reception ended with the newly weds walking forth hand in hand through the sparking archway created by loved ones as they passed. The couple gleamed in such a way, it made the stars that night envious. Warm wishes and congratulations roared from the crowd as their car disappeared into the night. I would like to personally thank Adam and Courtney for letting us be a part of this most wonderful occasion. It was such a beautiful wedding. Your love speaks legions. I wish you both nothing, but the best and many years of happiness.